What will 2013 bring for you and your career? We can’t predict your future, but we can offer you a fabulous start of this new year. Registering a corporate team at the 3rd edition Hercules Trophy on 22nd March will bring you happiness, enhance your network, improve your corporate wellness and make you feel like a star. After the raving success of the past years, the Hercules Trophy has been moved to Dubai Festival City. 40 teams from leading UAE companies like Richemont, Abu Dhabi Finance, Wild Wadi, Abami, Acuma, MoveOne, Yas WaterWorld, Ferrari World, Atlantis The Palm and many others have already subscribed and can’t wait to challenge your company. Are you ready for it? No athletic skills required. All you need is a team of 7 participants and a large dose of positive energy! Cross Country: A real team challenge and a killer. Hercules Trophy is now organized on a Friday. The perfect opportunity to bring your partner and kids. Children are big Hercules Trophy fans! The youngest kids will have fun in the Kids Village powered by MoveOne. Soon kids of 7 to 13 year old will be able to enroll for the “Hercules Kids”, the Obstacle Race powered by Indigo. Did you know they will win valuable points for your team? We wouldn’t be able to organize this super-charged day without the help of our partners: PromoSeven, Radio2, Indigo, MoveOne, Urban Energy, Duplays and Biz Events. The event is hosted at Dubai Festival City, InterContinental and the Belgian Beer Café (After Party). More partnerships to be announced in the coming weeks. Did you know that the average weight gain over the festive holiday season is around 0.48 kg? The Pink Ladies from Urban Energy are there to reverse your weight gain and give you the perfect preparation for Spring and the Hercules Trophy. Just like last year the Hercules teams will receive Urban Energy vouchers, which entitle every participant to 3 FREE training sessions. 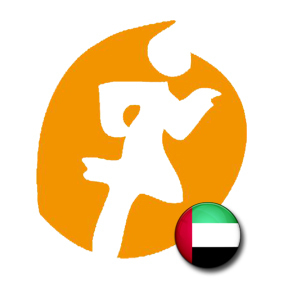 New at Hercules Trophy UAE: We will donate a fixed amount of your team price to a selected charity. Next to that, our online platform allows teams to raise funds in a completely transparent way. The selected charity project will be announced next week! You can’t afford to miss the biggest and coolest corporate team competition in the world. It’s a unique way to connect with other business professionals. A Hercules Trophy experience is a lifetime story to tell.